UPS had difficulty delivering my box but it was on their end not because of western Emporium. Recieved shipment quickly, very happy about the quality. I would buy again and will probably keep this on my favorites list. Would recomend your products to anyone needing period clothes. The items I ordered were exactly as described. The charts made it easy to choose the correct sizes and the quality of the clothing was excellent. I JUST RETURNED OUR BELT AND holster. THE SIZES SEEM TO RUN SMALLER EVEN THOUGH WE ADDED THE EXTRA INCHES. I AM WAITING FOR THE EXCHANGED SIZES NOW. STRONGLY SUGGEST USING A TAPE MEASURE AND ADDING MORE THAN THE 4 INCHES SUGGESTED. LOVED THE STYLE AND QUALITY. Customer service was very helpful with sizing and advise. The quality of our gowns and gentlemens clothing is outstanding. We are wearing our clothing from under pinning to outer wear for a Sherlock Holmes weekend in Cape May NJ and are very pleased! I ordered a leather flying helmet; I'm a WW1 aviation reenactor. Although through no fault of Historical Emporium my helmet was too small, and I thus ordered a larger size. In both instances HE's delivery was super fast and the product was/is well-constructed and of authentic design. I'll return the other size today, and I have no doubt I'll order in the future. Can't wait, actually. Very happy with the products purchased including price, quality and quick shipment. I will be purchasing more items in the future. Excellent product and excellent service. I was a little nervous when placing the order since I have not ordered from her before but was soon put at ease when I received my order. Very impressed. Great service, great product. We dress in period clothing when exhibiting our 1910 Oakland Runabout in Concours shows. We can always count on the Historical Emporium to provide. Amazing quick service, items are well made and fit perfect. I was upset t hat on delivery i had to pay $78.00 duty on a order valued at $270 because the goods were made outside of the USA which i was not prepared for. I was thoroughly pleased with the shirts I ordered. This was my second purchase, and I will buy more. The sizes fit perfectly based on your chart sizes, and the quality of the shirts I ordered is excellent! I am very pleased with my purchase and experience with your company. Thank you for doing such a good job and making it easy to purchase and received goods. Gentleman's Emporium has been my go-to store for my fineries and dress-ware. I am yet to find a single complaint with their products and have certainly recommended the store to others and will continue to do so. After buying from a big known store a similar item and they sent the wrong color I found Emporium and got good fast service and the true Old West style and made in AMERICA. The service was friendly and helpful. fast service , quick delivery , friendly staff , and great quality product. This was a very pleasant transaction. Highly recommend. From all aspects, an easy, enjoyable experience. I received my order promptly and was pleased with the quality of the products purchased. I had one return and was credited back without hesitation. The service was excellent and this Colt was just w hat I hope for. Great customer service. Your phone rep took the time to help me find the right shirt, pants and suspenders. Clothes were promptly shipped and received. Thank you. I am to the utmost satisfaction with the service received. In the website all the products listed are described in detail with lots of pictures and the ones I bought are fine made. I couldn't believe the great price for this belt with pouches! I had seen others like it that cost twice as much and wanted $14 just for shipping! I wanted this for a steampunk costume for a comic con that was two weeks away and never dreamed I could get it in time. Just for fun, I started the order, and to my delight, found shipping would only take four days. That was for STANDARD shipping! I got the belt in plenty of time, and it was just perfect. I would definitely buy here again! I always have excellent service with western Emporium. Skirt is too tight with the elastic being too hard to stretch. Overall not a wow factor outfit for the price pay. Product was about w hat I expected for the price. Very good service, good quality items and splendid haste with packing and delivery! I am very pleased with ever aspect of my transactions with Gentlman's Emporium. The quality of the clothing I have received is wonderful. The service representatives with whom I have spoken have been knowlegeable and very pleasant. 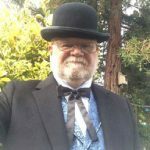 I will happily refer others looking for quality, victorian era clothing to you. i live in australia & it is very hard to buy a lot of the products t hat you sell so finding your store & being able to buy & import your non restricted at a good price was great. I asked that the box my husband's gun belt and holster was mailed in be completely incognito because he always gets the mail. You did exactly that and he thought the box was some pillows for me. Ha Ha. Thanks so much for the extra effort. The gun belt and holster was a complete surprise to him and exactly what he wanted. The workmanship is great and just beautiful! Thanks, thanks, thanks! Your product is awesome! Very well made, great quality! Our whole family ordered outfits for a niece's wedding. They arrived very quickly and were of excellent quality. We were very impressed. I don't want to repeate word for word what others have said about the Gentleman's Emporium, but, I thought everything was great; customer service- the man who helped me, made sure I got the right size for my husband's shirt- the delivery was lightening fast- I placed my order on Monday and I recieved it, all the way across the country- on Wednesday around noon! And I couldn't wait to open the clothes and try them on-I had read the reviews and knew to expect high quality! I wasn't disappointed! I WILL order from here again! !